KHARTOUM – Sudan’s security forces must stop their ongoing deadly onslaught on protesters and medical personnel, Amnesty International said on Friday following the death of a doctor, a man, and a child from gunshot wounds inflicted during the 17 January protests in Khartoum’s Burri district. The organization also received reports of further raids of medical facilities by security personnel, who fired teargas inside hospitals and assaulted doctors. “It is an outrage that Sudanese security forces continue to use lethal force on protestors and key service providers like doctors, killing people in an unbridled spree that is even affecting children, said Sarah Jackson, Amnesty International’s Deputy Director for East Africa, the Horn and the Great Lakes. Amnesty International spoke to a medical doctor on duty at Al Faisal Specialized Hospital in Khartoum on Thursday, who said security forces raided the hospital in the afternoon, fired teargas and arrested him and another doctor, as well as two other medical staff. The medics, who were beaten during the arrest, were detained and interrogated at the National Intelligence and Security Services offices. He was released without charge after 8:30 pm, while the others were released several hours later. The organization also verified videos shared on social media and via WhatsApp showing security forces opening fire on protesters gathered at a football pitch near a mosque in Khartoum’s Burri district on Thursday. At least one fell to the ground as a result of his injury and had to be carried away by other protesters. The injured were reportedly taken to Royal Care Hospital, where many protesters remained overnight. 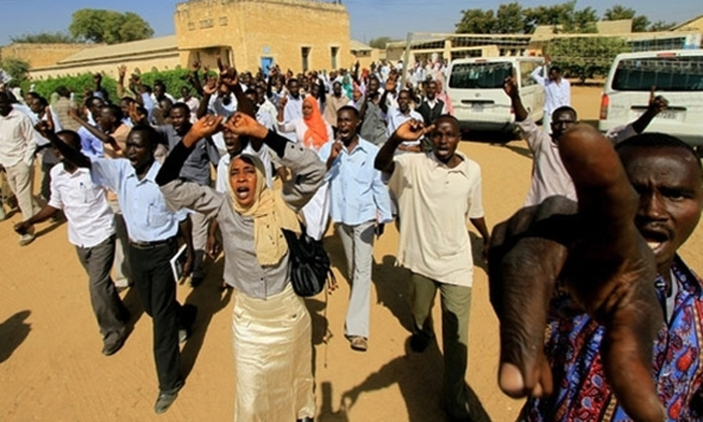 On 17 January, Sudan’s security forces fired teargas into homes and buildings in the Burri area, an outright contravention of international guidelines on the use of force that require all force to comply with the principles of necessity and proportionality and forbid the use of teargas in confined spaces. “This blatant violation of national and international laws must stop immediately, and independent and impartial investigations must be promptly launched into all allegations of human rights violations, including the deaths reported in the context of the protests so that all those found responsible are brought to justice in fair trials,” said Sarah Jackson.